TypeCatchet is very straightforward. The main toolbar consists of three buttons which allow us to download and install font, uninstall font already installed from our system, and view font information by opening relevant URL. 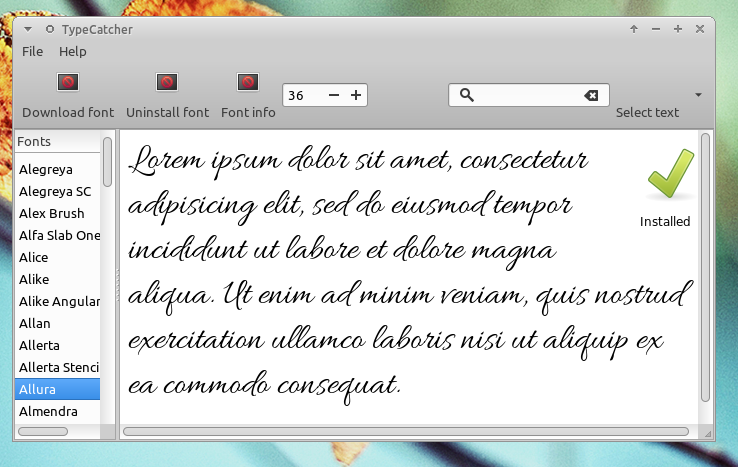 We can also be able to change the size and phrase of font preview from the toolbar. Of course, there is a search bar to filter displayed font. We can also only download the font and save it on our hard drive to use later. Simply highlight the font and press "File > Save As" on the menu bar. 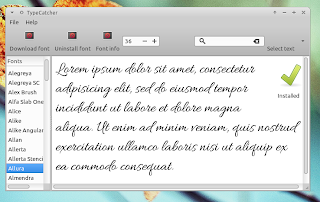 Font will be saved as a TTF file so you can use it on common operating system including Ubuntu and Windows. For other distribution please download the source code here. TypeCatcher has an easy and simple GUI, so you should not have any difficulties on using it But I'll give you something to get started. 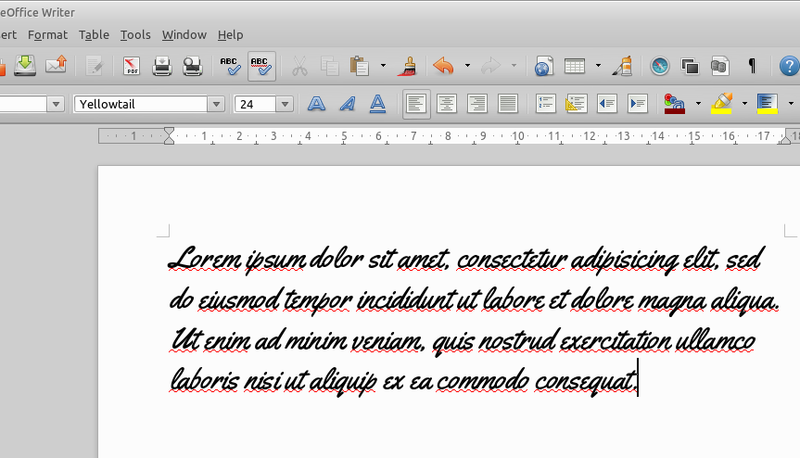 Simply highlight the font name on the left pane and the preview of font will be displayed on the right pane. You can also change the font size and preview text from the toolbar. If you want install the selected font, simply press the "Download Font" from the toolbar. 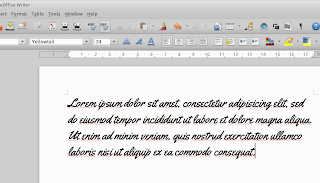 Once installed, you can use the font to work with document processor such as LibreOffice and other applications. Installed font will be marked with "Installed" icon. You can uninstall it by pressing "Uninstall font" button from the toolbar. If you want to download font without installing it, highlight the font and press "File > Save As" from menu bar.